What can't a "baecation" getaway solve? 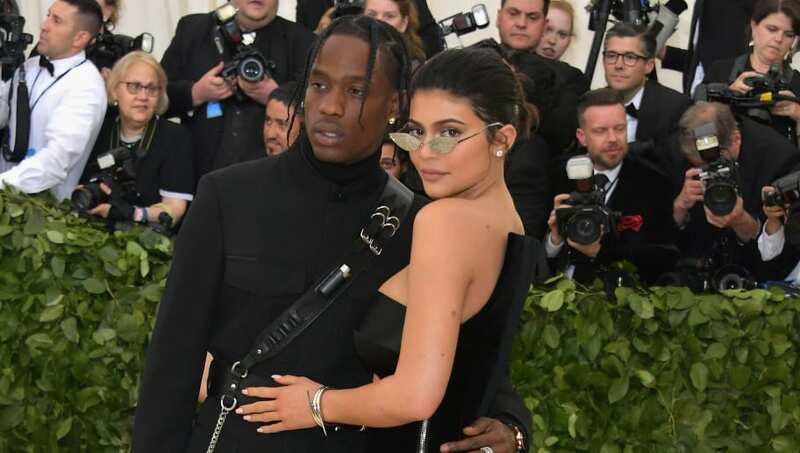 Kylie Jenner and Travis Scott seemed they were headed towards a messy breakup last month after Kylie reportedly accused Travis of cheating on her when she found out he was messaging other women on Instagram, which apparently escalated into a heated argument. Though Scott and his reps vehemently denied the reports that he cheated, more stories came out that Kylie and Travis' relationship was on the brink, and it would take extensive time for it to return to normal. However, instead of breaking up, the couple planned a vacation to repair their relationship. Alongside their daughter, Stormi, the makeup mogul and Houston-native traveled to Mexico for some time away from the paparazzi so they could mend their problems privately. Jenner appeared to enjoy the romantic getaway, sharing an Instagram post of her and Travis, with the caption "baecation." According to Us Weekly, the vacation was indeed as success! A source told the outlet that the duo is doing much better and are focused on baby Stormi. It's great to hear that the couple is beginning to put any possible drama behind them, as recent months haven't been too kind to members of the KarJenner family and their relationships. With Jenner and Scott doing better now, who would we be if we didn't look ahead to the future? Last December, Travis revealed he wants to get married to Kylie. The 21-year-old model was recently spotted with a diamond ring on her finger following the Mexico getaway, which may mean a wedding is around the corner--or Kylie is just making one of her many fashion statements. As for expanding the family, Kylie told Interview Germany last month that while she doesn't plan on having more babies in the near future, she hopes to have more at some point.